Somerset is a great county for walkers and we are lucky enough to be situated in some beautiful countryside in South Somerset in the famous Somerset levels. The Somerset levels is a coastal plain and wetland which inhabits an area of some 650 square kilometres between the Mendips and the Blackdown Hills. It is one of the lowest and flattest areas in the country with 32 parts designated as Sites of Special Scientific Interest status. The area is very rich in wildlife and wild flowers and is highly bio-diverse, supporting a vast variety of plant species as well as being an important feeding area for birds. 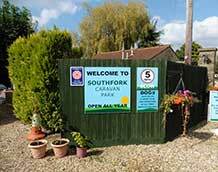 Southfork Caravan Park is ideally situated to act as a base for walkers wishing to explore the area on foot. 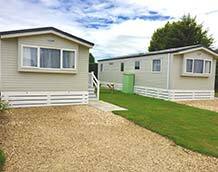 Open all year, we have level grass and hard-standing pitches for caravans, tents and motorhomes as well as two holiday homes and our brand new glamping area with our luxury wooden pod. If you are looking to stay relatively local and focus on shorter walking routes which can easily be achieved in a day, these 6 circular walks around Yeovil take in some lovely countryside with great viewpoints on the way and local landmarks like Ham Hill. You can also explore some of the pretty villages and market towns in the area. With medieval remains, sites of architectural interest, conservation areas and nature reserves, woodland, marshes and open countryside, there is a no shortage of variety. If you are interested in longer walks, we are close by the route of the Parrett Trail, a 50 mile route covering an area which runs from Chedington in Dorset to the mouth of the river in Bridgwater Bay where it joins the West Somerset Coast Path offering the opportunity to explore lots of villages on the way. 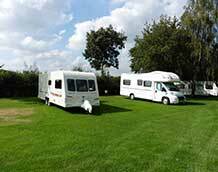 Our campsite could offer a convenient stop off point along the route or even a base for this walk if you were planning to cover it in sections over several days from one location. For detailed information on the route, download a guide from Visit South Somerset. If you fancy tackling some hills, you may not think that Somerset if the best place. Despite being known for being pretty flat, there are also some impressive hills, tors, knolls and ‘mumps’ in the area which you can climb for expansive views over Somerset, the levels and beyond. Visit South Somerset have put together a useful guide called the Somerset 360°So called because they each take in spectacular 360°views over the surrounding area. Some are more challenging than others, and if you manage all six you can claim a certificate! Have a look at the online guide for more information and details of how to get your certificate. Whether you want a gentle afternoon stroll with a great pub at the end (and a pint of local cider), a brisk hike or the challenge of a summit, Somerset is a great county for walkers. Many of the local towns and villages have ‘Walkers are Welcome’ Accreditation which means they consider the needs of walkers in terms of refreshment, accommodation, retail, information and guides.